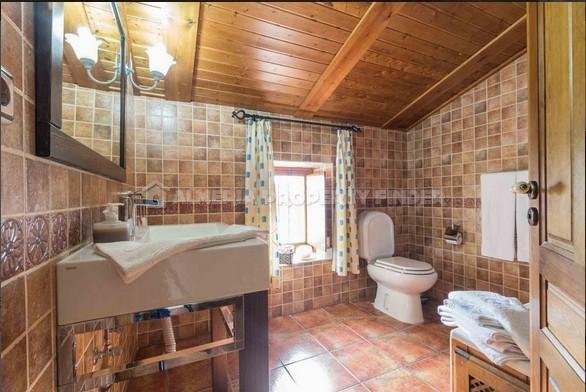 Excellent business opportunity! 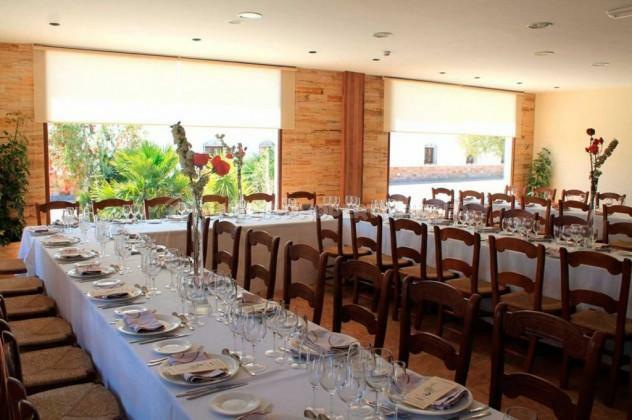 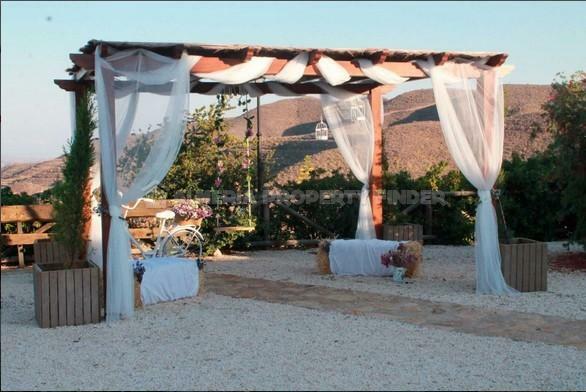 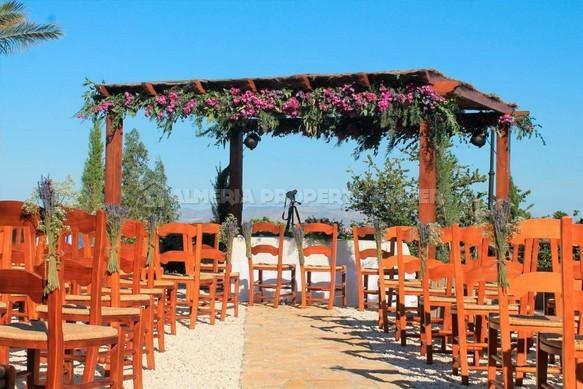 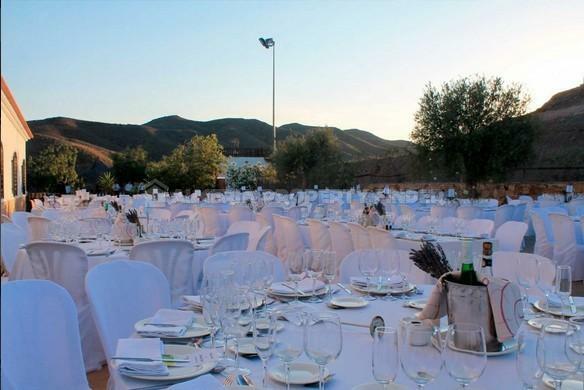 Fantastic rural holiday complex / events venue for sale in Almeria Province, situated in a beautiful tranquil area near to the small town of Taberno, and only 35 minutes from the coast. 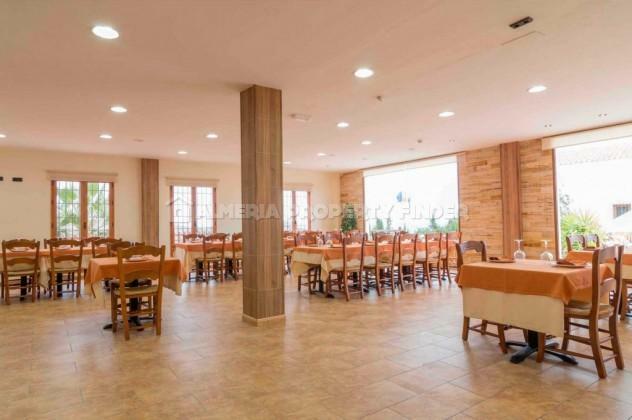 The complex is a popular destination for business events / meetings, weddings, baptisms and communions amongst other celebrations. 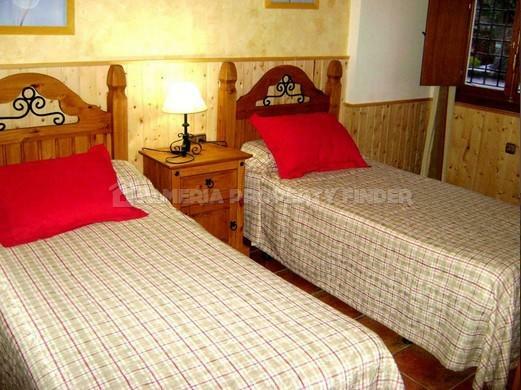 It also offers ideal accommodation for group holidays, weekend breaks and romantic getaways. 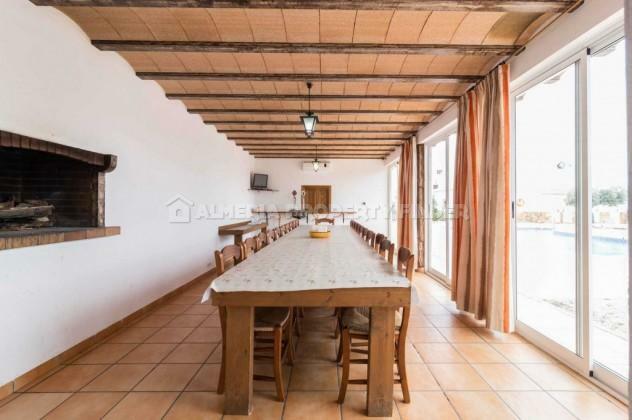 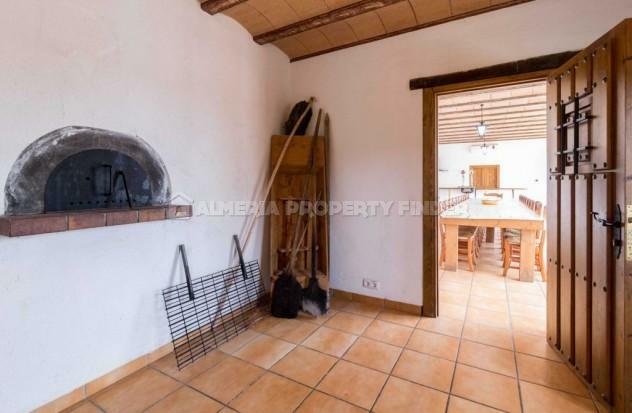 Set in a land of 7069m2, this beautifully renovated Andalusian farmhouse is over 100 years old, and is now equipped with all modern comforts whilst maintaining its rural charm. 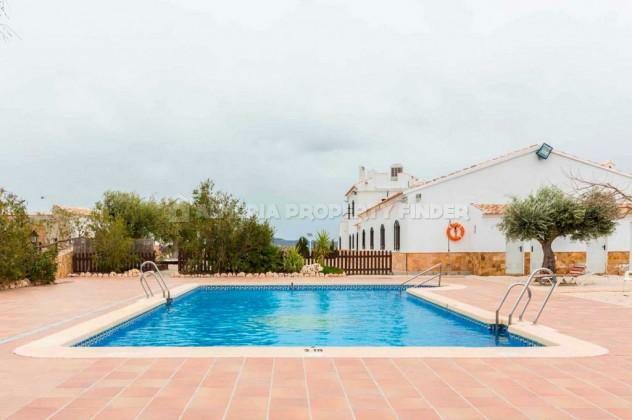 It comprises a restaurant, 8 self catering apartments, gymnasium, padel & tennis courts and a swimming pool. 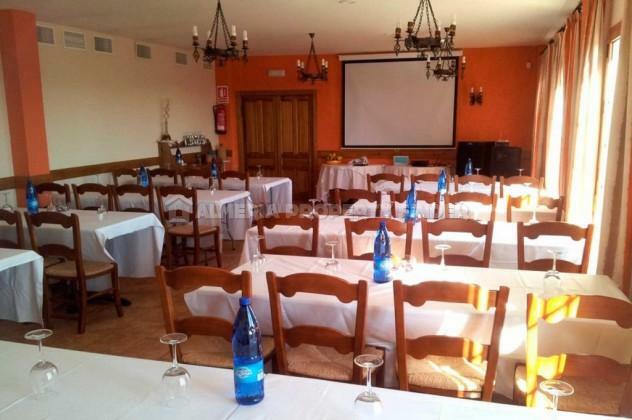 There is multi-purpose room with capacity for 30 people as well as a meeting room with capacity for 140 people, including audiovisual and computer facilities. 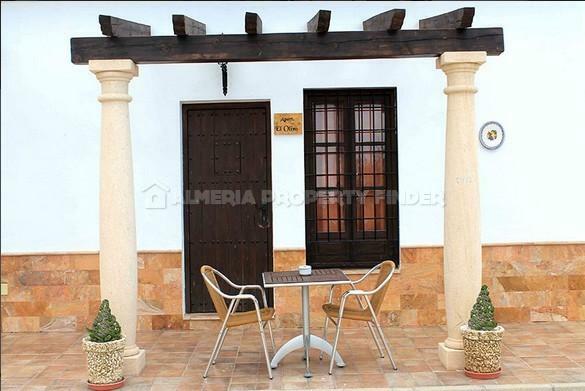 Six of the apartments are situated on the ground floor, each with their own external access and terrace, and there are two first floor apartments which share access via a staircase from the exterior. 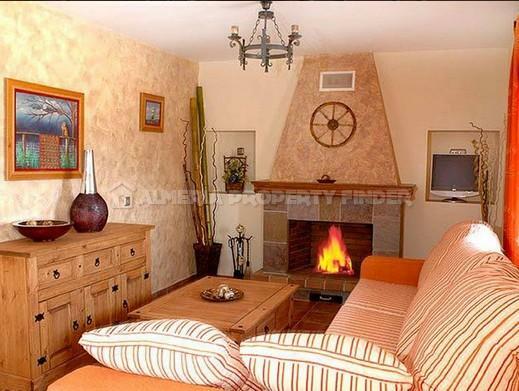 All apartments are fully furnished and comprise a large open plan living room with fireplace, fully equipped kitchen, hot & cold air conditioning and wifi access. 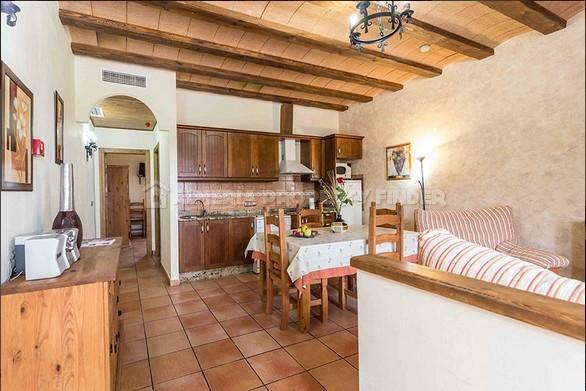 Some of the apartments are interconnecting, ideal to create larger accommodation for groups or large families. 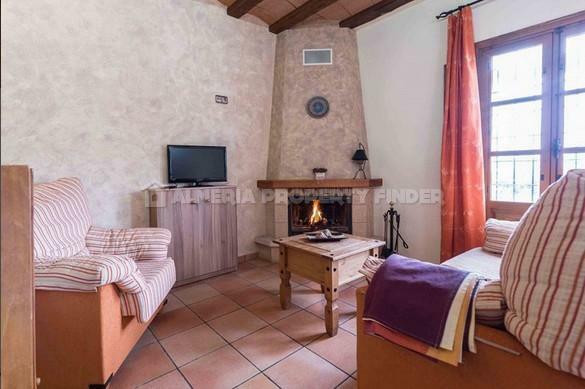 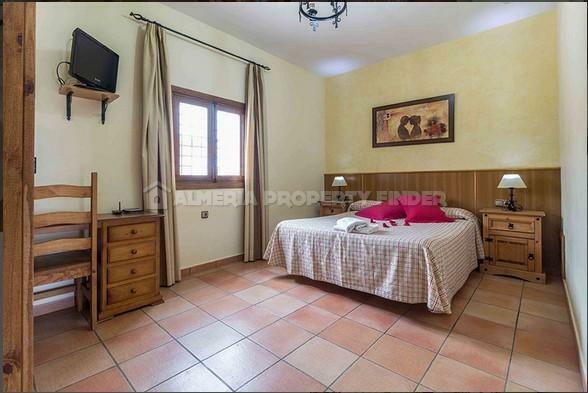 - Apartment Catalina (85m2) has two double bedrooms, a twin bedroom, and a shower room with hydro-massage shower. 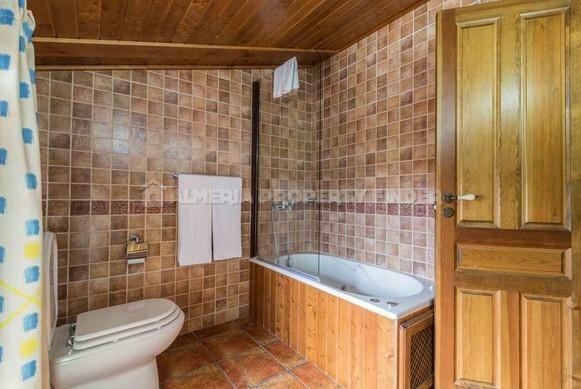 - Apartment Malena (80m2) has one double bedroom, one twin bedroom, and a bathroom with hydromassage bath tub + shower. 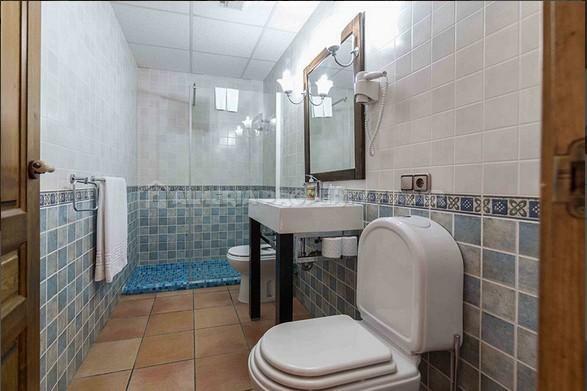 - Apartment el Olivo (60m2) has one double bedroom and a bathroom with hydromassage bath. 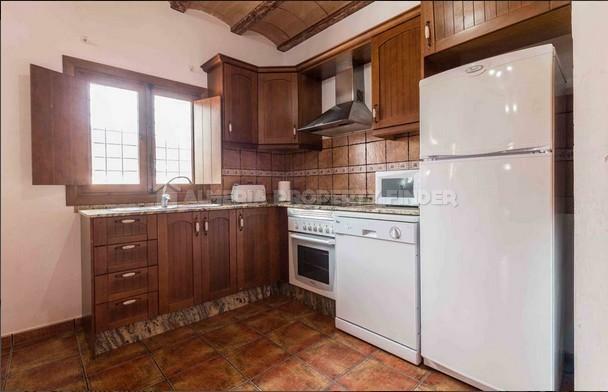 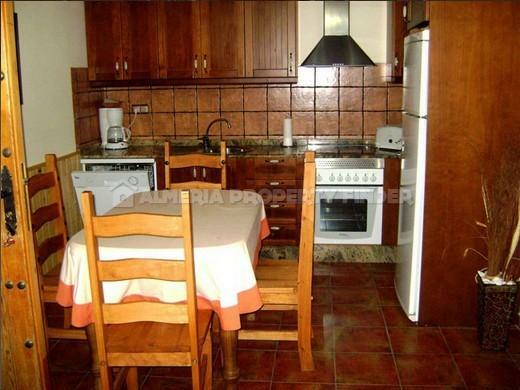 - Apartment el Algarrobo (60m2) has one double bedroom and a shower room. 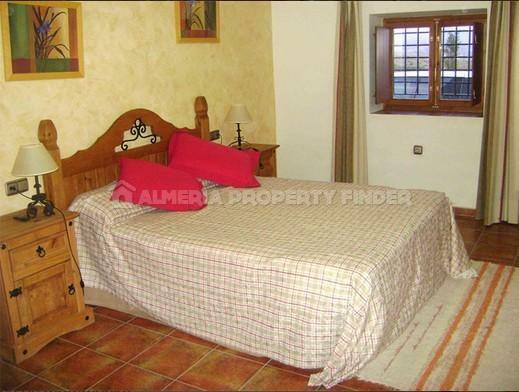 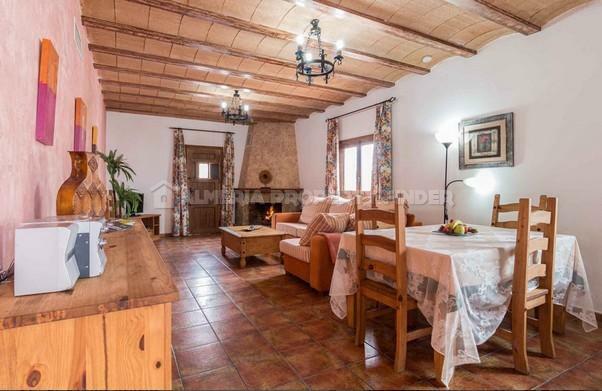 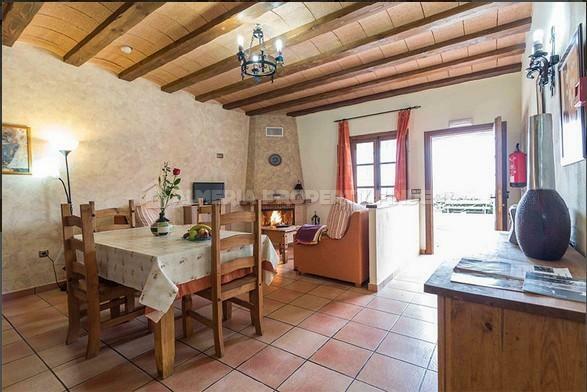 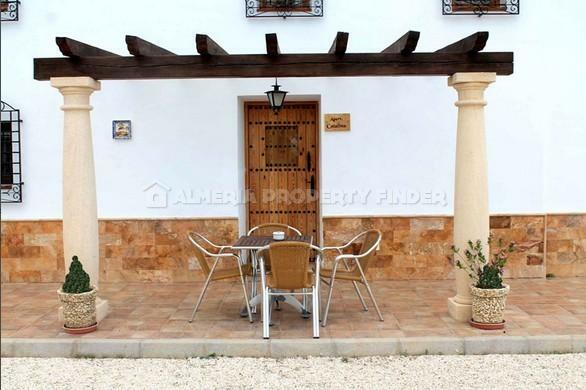 - Apartment el Almendro (60m2) has one double bedroom and a shower room. 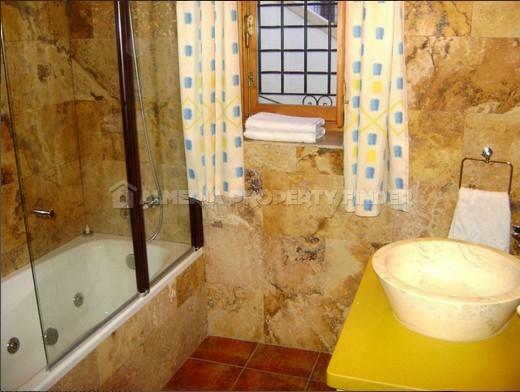 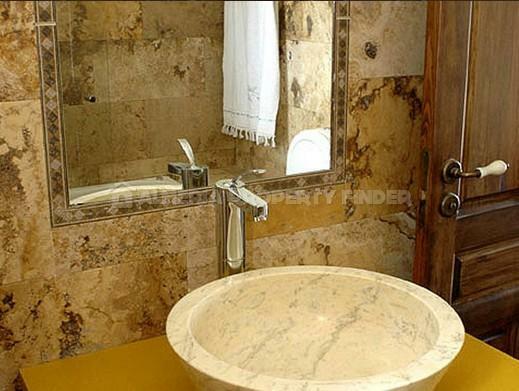 - Apartment la Higuera ( m2) has one double bedroom and a bathroom with hydromassage bath. 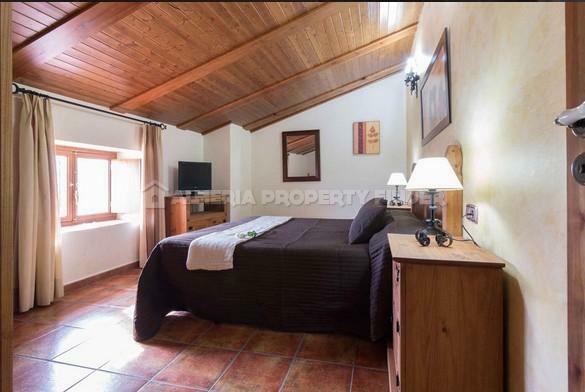 - Apartment Madroño (90m2) is situated on the first floor and has two double bedrooms and a bathroom with hydromassage bath. 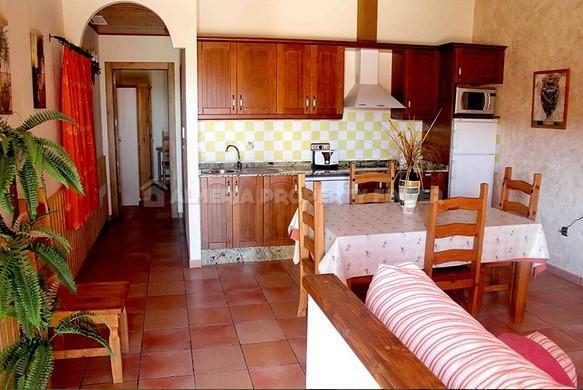 - Apartment Tio Beba (76m2) is situated on the first floor and has a large double bedroom and a shower room.